Dr. Ma is an Associate Investigator at The Feinstein Institutes for Medical Research. He is also Core Leader (PET) of the Imaging Core for the National Institutes of Health Morris K. Udall Center of Excellence for Parkinson’s Disease Research at The Feinstein. Dr. Ma is specialized in the development and application of innovative brain imaging methodology for mechanistic studies of neurodegenerative disorders. He is mainly interested in accurate detection and brain mapping of functional and anatomical abnormality in individual patients using positron emission tomography (PET) and magnetic resonance imaging (MRI). The overall objective is to identify and validate optimal imaging biomarkers that can accurately describe disease onset and progression in patients as well as evaluate brain responses to novel experimental therapeutics. Dr. Ma is a member in the Society of Nuclear Medicine, the International Society for Cerebral Blood Flow and Metabolism and the Organization for the Human Brain Mapping. He has severed as regular reviewers for many professional journals in the field such as Journal of Nuclear Medicine, European Journal of Nuclear Medicine and Molecular Imaging, NeuroImage and Human Brain Mapping. With more than 15 years of professional experience in brain imaging field, Dr. Ma has published over 80 peer-reviewed articles and chapters in patient-oriented translational research in neurodegenerative and neuropsychiatric disorders. He has made important contributions in the use of multi-tracer and multi-modality brain imaging methodology for the study of Parkinson’s disease as well as Huntington’s disease, dystonia, geriatric depression, and animal models of the disease. Dr. Ma joined the Functional Brain Imaging Laboratory at The Feinstein in 1999 after completing his doctoral study at the McConnell Brain Imaging Centre of the Montreal Neurological Institute in Canada. Since then he has contributed significantly to the successes of many patient-oriented research programs funded by the NIH and other sponsors at the Center for Neurosciences. Dr. Ma has also played a leading role in coordinating a series of imaging-based clinical trials and research projects in multi-center national and international collaborations. Along the way he has devoted a major effort on managing the technical operation of the laboratory including the supervision and training of postdoctoral fellows and research staff. This also involves directing routine activity providing consulting services to the internal and external collaborators on issues related to image acquisition, processing and analysis. Dr. Ma is currently the principal investigator of a multimodality imaging biomarker study on the diagnosis and progression of Parkinson’s disease as part of the US-China Program for Biomedical Collaborative Research funded jointly by the NIH of the USA (R01 NS083490) and the National Natural Science Foundation of China (NSFC No. 81361120393). The central theme of Dr. Ma’s research endeavor is the development, implementation and validation of innovative solutions in multimodality brain imaging applications with PET and MRI. Much of his early work has been on cross-sectional studies to derive disease-specific imaging markers of dopaminergic dysfunction that can be easily measured in a clinical research environment. This was followed by longitudinal investigations of disease progression and cell-based therapies in patients with Parkinson’s disease. This was also complemented by progression studies in hereditary brain disorders in which metabolic, neuroreceptor or anatomical dysfunction are present for extended periods of time before any clinical manifestations. His recent work has focused on multimodal imaging studies in animal models of neurodegenerative diseases in non-human primates. 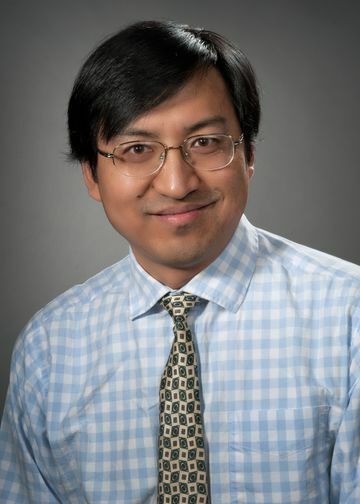 Dr. Ma has implemented a series of novel analytic methods to map and quantify localized abnormality in pre- and post-synaptic dopaminergic function in PET images and to detect regionally-specific anatomical change in MRI data. One major focus is to establish viable biomarkers by demonstrating their reproducibility across different patient populations, imaging instruments and medical centers through international and multicenter collaborations. Dr. Ma’s principal research in this area involves quantifying abnormal presynaptic and postsynaptic dopaminergic function in neurodegenerative and neuropsychiatric disorders. He has implemented novel computing algorithms to calculate neurobiological parameters of interest and to simplify the acquisition of dynamic brain PET images using radioligands such as F18-labeled FDOPA and FPCIT and C11-labeled raclopride. He has also worked on longitudinal clinical trials to examine the time course of disease process and the therapeutical efficacy of novel experimental interventions using optimized brain mapping strategies. In particular, Dr. Ma has demonstrated with FDOPA PET the long-term efficacy of fetal cell transplantation in patients with advanced PD and revealed mechanistic insights associated with the occurrence of graft-induced dyskinesia. His work has also led to the delineation of progressive nigrostrial losses in dopamine transporters in PD and dopamine D2 receptors in presymptomatic HD gene carriers. More recently Dr. Ma has devised techniques to localize beta-amyloid deposition in the brain using C11-PIB and F18-FDDNP. As part of the multi-tracer brain imaging methodology we measure cerebral glucose metabolism and blood flow using PET with F18-FDG and O15-H2O. To this end Dr. Ma has implemented analytical methods for mapping systemic changes in brain function in healthy volunteers and patients with a variety of neuropsychiatric disorders. He has demonstrated the compatibility, reproducibility and reliability of functional imaging biomarkers obtained by computing the expression of PD-related metabolic network (PDRP) using FDG and H2O images in patients with Parkinson’s disease who were at different clinical stages and conditions of medical and neurosurgical interventions. This work has contributed to the team effort of using these biomarkers for automated differential diagnosis of PD and for the assessment of disease progression and treatment responses in many clinical trials such as deep brain stimulations. Dr. Ma is currently leading the way to validate the reliability and reproducibility of disease-specific metabolic brain networks in parkinsonian disorders using multi-center patient FDG PET scans from international collaborations. With rapid technological innovation in the recent years, MRI is able to provide high resolution images of anatomical substrate, cerebral blood flow (CBF) with arterial spin labeling (ASL) and intrinsic neural activity with resting-state functional MRI (rsfMRI). Dr. Ma has worked on the development and application of MRI-based methodology in the study of neurodegenerative disorders. He is primarily interested in improving the accuracy of functional parameter estimation and performing brain atrophy correction in PET scans using correlated structural MRI data. Of note, Dr. Ma has shown that simple T1-weighted anatomical MRI can be used to generate atrophy-related brain networks associated with the progression of presymptomatic Huntington’s disease gene carriers. Furthermore, he has reported that ASL MRI and rsfMRI can be potentially utilized to assess disease-specific brain networks in PD and related disorders. Currently Dr. Ma is spearheading a few projects to validate the reliability and reproducibility of these biomarkers using multi-center imaging datasets in large patient cohorts. This project is a multimodality neuroimaging study to investigate the differential diagnosis and progression of Parkinson’s disease in the US-China Program for Biomedical Collaborative Research. The primary goal is to develop MRI-based brain network markers and validate their clinical performance against FDG PET-based counterparts in the same patient cohorts of PD and related disorders. This work is of great importance in establishing viable biomarkers using emerging new imaging techniques that are becoming more widely available worldwide. The study is based on a longitudinal and prospective design in collaboration with Huashan Hospital of Fudan University in Shanghai, China. Investigators at both sites will utilize optimized imaging protocols to acquire multi-spectrum MRI and multi-tracer PET data in large sets of healthy subjects and patients with Parkinson’s disease (PD), multiple system atrophy (MSA), progressive supranuclear palsy (PSP), and REM sleep behavior disorder (RBD). There will be total 170 subjects, with 70 imaged once at the Feinstein and 100 imaged twice at the Huashan. The resulting datasets will be processed and analyzed according to the state-of-art multimodal brain imaging techniques. The unique mechanism of this US-China project allows collaborating investigators to achieve a far-reaching scientific objective with the funding from both the NIH and the NSFC. The long-term goal is to improve the usefulness of an alternative advanced imaging modality and providing more economical solution for the clinical management and neurobiological research in a wide spectrum of patients with parkinsonism. In recent years Dr. Ma has begun to apply this multi-modality and multi-tracer imaging methodology to preclinical studies in disease models made in non-human primates and small animals. This is achieved by using FDG PET images acquired in collaboration with colleagues in Canada and China. The most original contribution in this area is the first derivation and validation of PD-related metabolic brain networks in MPTP-induced primate models of experimental parkinsonism. Network activity values in individual animals correlate with motor ratings and are modulated by the implantation of human retinal pigment epithelial cells. These values are also reproducible in parkinsonian primates from independent laboratories and stable in the test-retest study over a period of three months, regardless of differences in species and imaging systems. Dr. Ma is currently continuing this collaboration to investigate other novel animal models of PD in primates and small animals. Research: implements optimized computing procedures to analyze functional and anatomical brain images acquired with PET and MRI in patients and animal models with neurodegenerative diseases. Serves as imaging database manager at the Center for Neurosciences and provides technical services and staff training in support of in-house research programs as well as external collaborative projects. Peng S, Ma Y, Spetsieris PG, Mattis P, Feigin A, Dhawan V, Eidelberg D. “Characterization of disease-related covariance topographies with SSMPCA toolbox: effects of spatial normalization and PET scanners.” Hum Brain Mapp, 2013; Epub May 14 (DOI: 10.1002/hbm.22295).